Nicaea (corresponding to modern day Iznik), situated in a fertile basin at the eastern end of Lake Ascanius, was an important ancient city in the northwestern Anatolia (currently in Bursa, Turkey). Inheriting its legacy from the ancient Greeks, the settlement was later controlled by the Romans and then the Eastern Roman Empire (Byzantine). During the 4th century AD period, the urban area was a major military and administrative center, with Constantine choosing it the eminent venue for the First Council of Nicaea. This momentous decision that played its pivotal role in the progression of Christianity as a religion also suggests how the city was a principal pilgrimage center for ancient Christians. Mirroring this scope of significance and strategic value (with the settlement being only 56 miles southeast of Constantinople), Nicaea boasted a magnificent array of walls and fortifications that defended the main town-center – so much so that it was known as the ‘city of walls’. And now Turkish officials from the Bursa Metropolitan Municipality have started their 4.5 million Turkish Lira restoration project focused on the most impressive sector of the walls comprising the Gate of Constantinople (Turkish İstambul Kapisi). Encompassing around 3 miles in length, interspersed by a whopping 12 secondary gates and 114 towers, the section was probably built some time in 1st century AD. Suffice it to say, this extensive facade of Nicaea was visually as well as symbolically significant since it faced Constantinople, which was by far the largest city of the Eastern Roman Empire during its zenith. To that end, the proximate architectural zone is known for its range of historical structures including tile furnaces, a theater (from 2nd century AD) that was originally restored by Pliny the Younger and even a basilica that had sunk into the lake (and is planned to be refurbished as a museum). These ancient buildings are also complemented by later additions like madrasas from the Islamic Ottoman period. We are working on all historical artifacts from the Roman Theater to the Green Mosque. 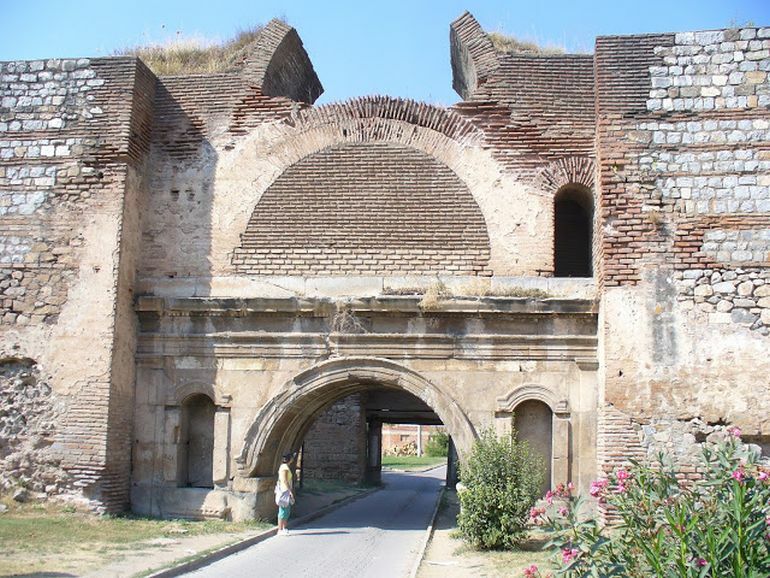 This is a long-time dream to revive the walls in İznik, which is known as a city of walls. We initiated works in the Gate of Istanbul. Following the first stage of works, all gates, walls and towers will have their unique identity. The cleaning of the walls is almost coming to an end. Those who will enter the walls in the south will be able to walk to the north easily in this historic atmosphere.